Melissa is a nationally recognized nutrition educator, Registered Dietitian, Certified Diabetes Educator and wellness expert. Advocating for balanced nutrition at all ages and living a healthy lifestyle, Melissa aims to “practice what she preaches” in her everyday life. 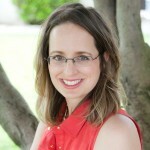 She is the founder of www.superkidsnutrition.com and writes nutrition, recipe, fitness and gardening blogs at www.melissashealthyliving.com. The Real Deal: Omega 3 or Omega 6? How to Plan for Healthy Lifestyle Changes! Top 9 Gluten-Free Whole Grains You’ve Got To Try!